...If you follow me on social media, you’ve probably seen me post the now infamous hashtag, #TrustTheProcess. This process began in 2014 when a still small voice told me not to pursue my doctoral studies on the East Coast and, instead, to come back home to Los Angeles to be with my Grandmother. After coming home, I saw just how much the process needed to be trusted as I found myself unable to find gainful full-time work, living on my Grandmother's couch, and working part-time, making $9.25/hour at my local YMCA, even with a master's degree. Although 2015 had its ebbs and flows, I have plenty good news to share and want to chronicle the months to show you just how much has transpired over the last year. In June, I still found myself working diligently at the YMCA part-time. While there, I was configuring ways to use my writing as an outlet to chime in on cultural matters while still looking for full-time work. In July, I wrote my next piece,The Color of Hatred, an essay surrounding the failure of the media to portray the humanity of the nine African-Americans killed in the Charleston attack. Shortly after writing this piece, I was unexpectedly invited to become an Adjunct Professor at Pacific Oaks College to teach Race + Culture courses. On a high from July, I was even more excited about August 2015! As I made preparations to begin teaching at Pacific Oaks, I received an opportunity to host a screening of Ava Duvernay's Selma at the California African American Museum. In October, I hit more of a stride regarding my process. 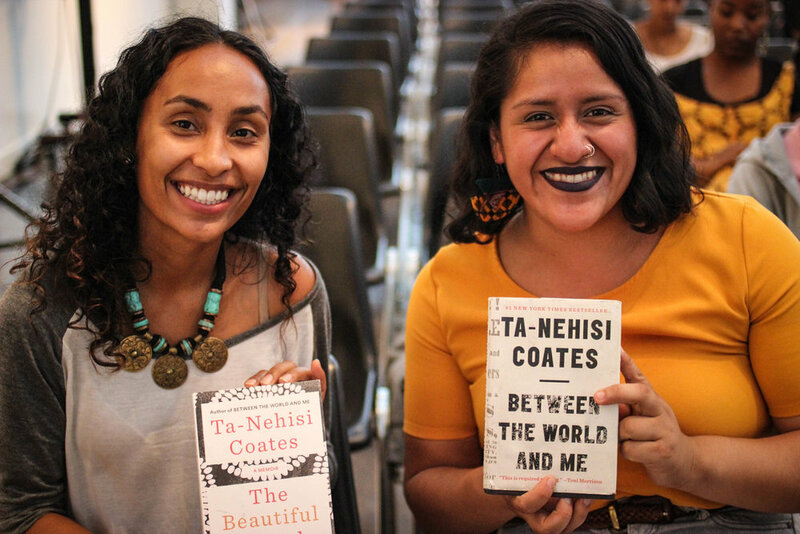 Inspired by Ta-Nehisi Coates' Book Between The World and Me and the classes I was teaching,I decided to create a book club for Black millennials called #BarnesAndNobleAndChill. In the same month, I got invited to meet Ta-Nehisi Coates and cover his talk at the California African American Museum in LA. November was even more turnt! Inspired from reading and teaching about Harold Cruse and pluralism in my classes, I decided to challenge myself to model economic solidarity in my community. So, after a discussion with my wonderful girlfriend, Makiah, we decided to create a list to support Black businesses in Los Angeles: 15 Black Businesses for Black Friday in L.A.
As the year came to a close, I decided that addition work was needed to further advance Black culture in LA. After approaching the Executive Director of CAAM, I created the museum's first Millennial Advisory Council. 2015 has been quite the year. Not only did I find growth in trusting the process, I found strength. This year was not easy, but it was worth it and I've learned significant lessons along the way. For all those who find themselves in the middle of a difficult process, I encourage you to keep trusting and never give up! If this was 2015, I can't imagine what the process has for me in 2016! Ta-Nehisi’s work recently granted him the MacArthur Genius Award and his latest book, Between the World and Me, is a New York Times Bestseller. Needless to say, the Los Angeles community came out in in full force to see the man of the hour in action and to revel in the ambiance of CAAM's draping exhibits and positive vibes. During his talk, Ta-Nehisi raised some very thought-provoking ideas, of which were his embellishments on the concepts of race in America. He also expressed a disdain for being labeled the “Voice of Black America,” and outlined the irony of feeling American for the first time in Paris, France. In Between the World And Me, Coates repeatedly stressed the significance of Howard University––which he refers to as The Mecca. He beautifully describes it as the bedrock of the Black experience where he saw the breadth and depth of the Black experience. These sentiments were ever present in his talk at CAAM, as he discussed the influence of his father, Paul Coates, and the importance of Black institutions. Ta-Nehisi explained that had it not been for his father’s publishing house, his wouldn’t have had the foundation that eventually led to his historic career as a writer. 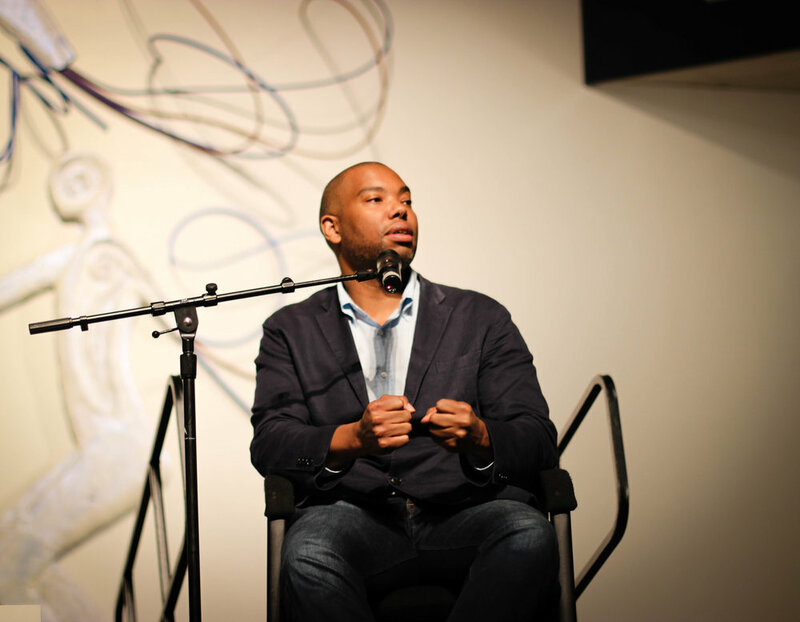 “Black institutions are very important for us,” said Ta-Nehisi Coates. Those words reverberated as it parallels the very direction in which CAAM is headed. The California African American Museum, a cultural landmark, is currently on the rise, as it seeks to reimagine ways to serve the Black community. 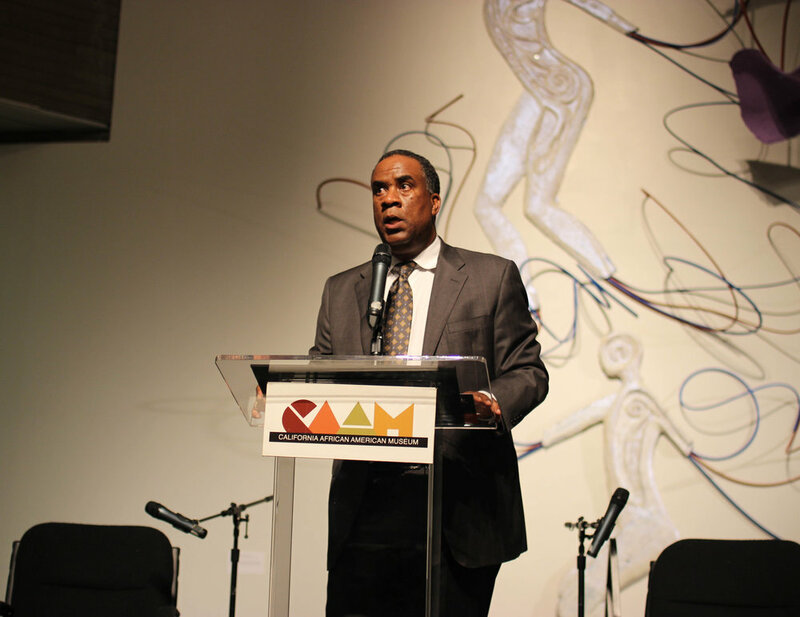 Recently, CAAM and the State Board of Directors appointed a new Executive DIrector, George Davis. As the museum navigates this transition, events like these are great for engaging new audiences. Hours before the event started, people started lining up to gain entrance into the museum. I spoke to a few people as they waited outside. With new leadership and a renewed commitment to the youth, CAAM is in prime position for growth and expansion. 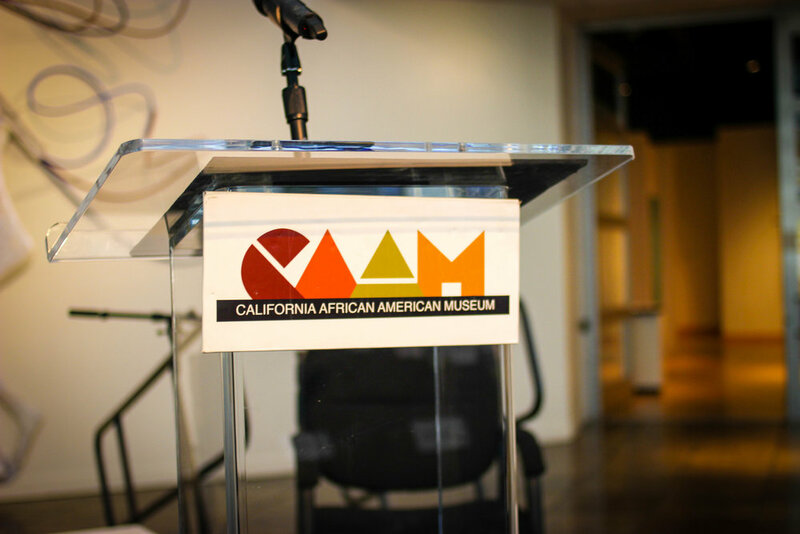 With events like the Ta-Nehisi Coates book signing and discussion, CAAM is sure to attract a range of people from across Los Angeles to experience all of the enriching exhibits that it has to offer. For more photos of the event, see the gallery below..
All photos taken by Makiah Green and Tyree Boyd-Pates. 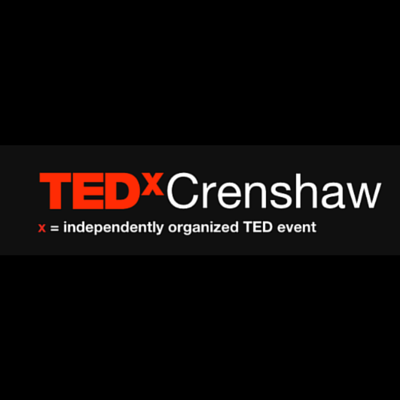 On October 24, 2015, the Crenshaw Community hosted the inaugural TEDxCrenshaw,made possible by lead organizer Zaneta Smith. The atmosphere was lively and fun, as attendees came together over a love of their community and engaging new and innovative ideas. 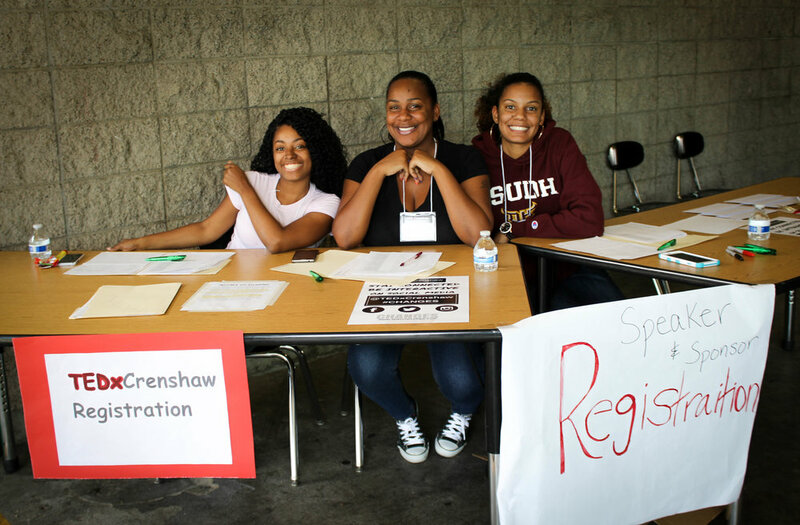 TEDxCrenshaw was an independently organized TED-like event comprised of passionate volunteers who were dedicated to ideas worth spreading. 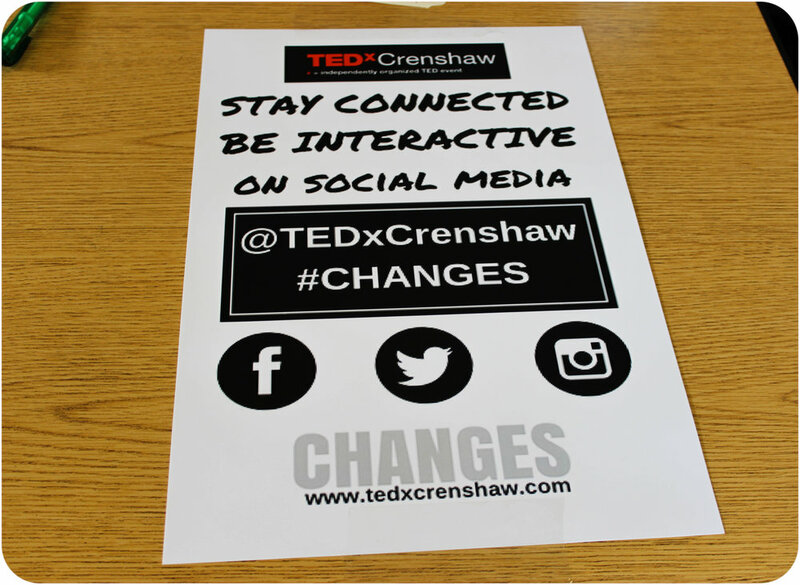 The theme behind TEDXCrenshaw was “Changes.” According to the organizers, they believe that change challenges us to question the old assumptions, stimulates us to explore new possibilities, and encourages us to make positive and impactful decisions that affect our lives and the future of our community. 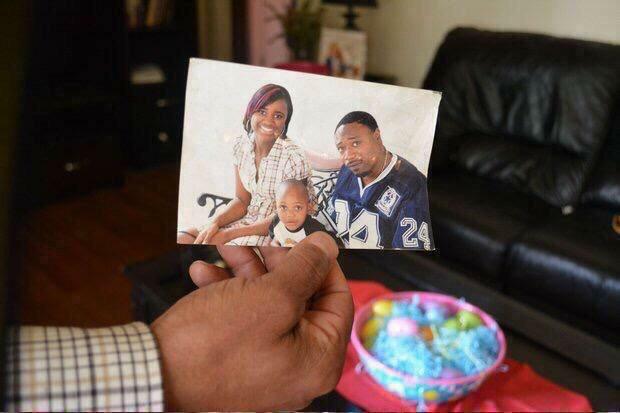 And TEDxCrenshaw was the was event to commemorate that. The convening saw nearly 100 people from the Crenshaw community come out to learn and engage in conversation.Throughout the day, people showed up in droves to support local speakers and innovators. The attendees had much to say about the significance of the event. Koree Yancy and Shinquell Green, two of the attendees, said that this event was very significant. They both heard of the event on Facebook and knew that they had to attend. Shinquell mentioned that she felt empowered by the event. Koree stated that it was very refreshing to be around like-minded people who want the same thing. They both agreed that unity is just what the South LA community needs and that TEDxCrenshaw was a step in the right direction. 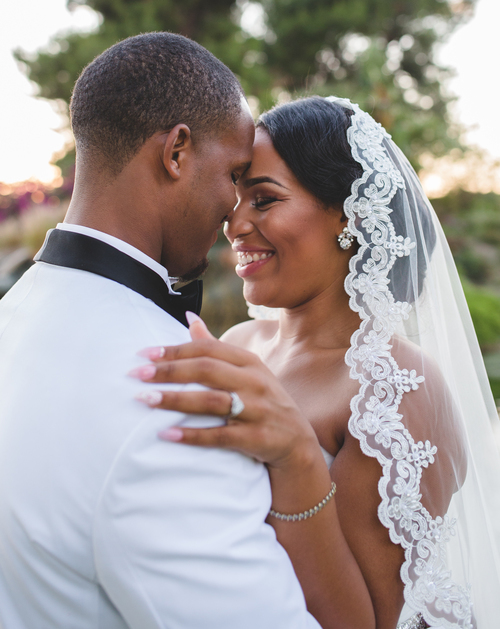 Another great set of attendees came in the form of married couple Ronnie and Cree Craig, South LA natives who work in education. They both emphasized how grateful they were that education was a priority at TEDxCrenshaw. When asked what changes they felt need to be addressed in South LA, they both agreed that the solutions were, "in hope and unity” –– things they felt TedXCrenshaw exemplified, especially in the speakers. 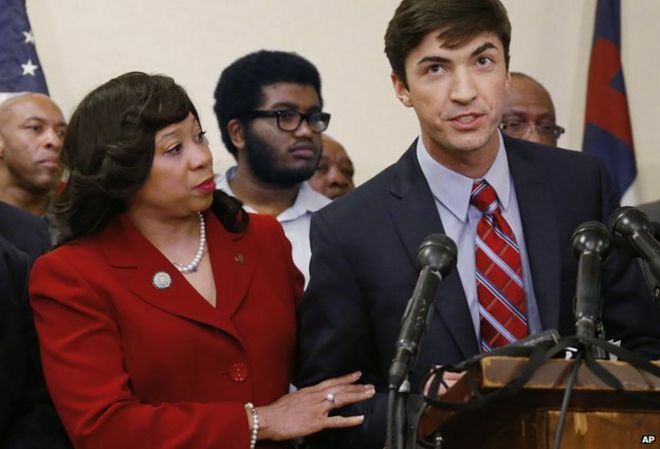 Jody Armour, a law professor at the USC Gould School of Law, delivered a speech entitled “Black Hearts in White Minds: Race, Crime, and Redemption.” In his thought-provoking speech, he discussed the need for the abolishment of respectability politics in the Black community. Another stand out speaker was art dealer and owner of Leimert Park’s Papillion, Michelle Papillion. Her talk on the “The Art of Doing Good” was a great discussion on following your passions and the power of believing in––a message that resonated with many in the audience. Another notable speaker was Los Angeles born and bred Hip-Hop artist and CEO, Dom Kennedy. 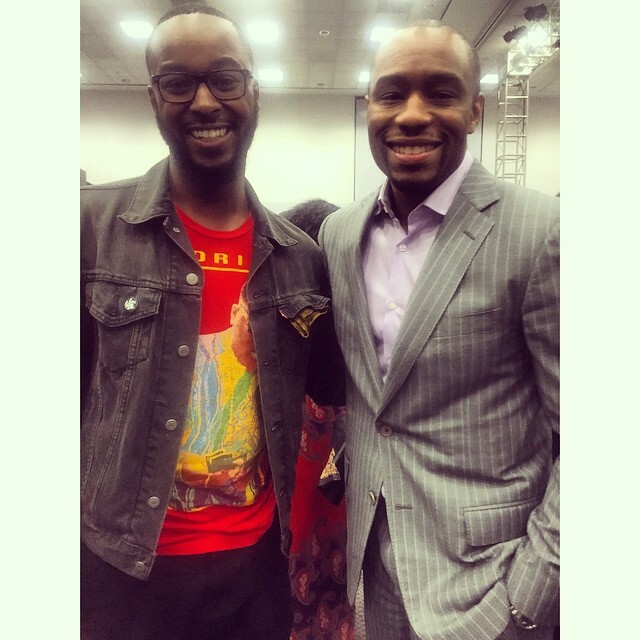 Kennedy’s talk was entitled the “The Time is Now.” In it, he described his experiences growing up in South Los Angeles and offered advice to the youth. He and the other speakers really set the bar high and left the audience clamoring for more. As I glanced across the auditorium, I could tell that everyone was becoming more and more inspired with each speech. By the time it came to an end, everyone looked content and eager to apply what they had learned. 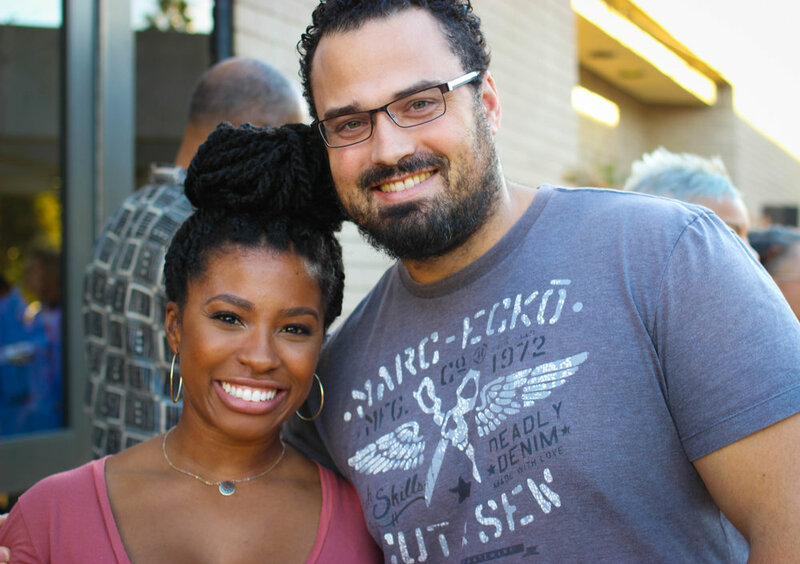 At the close of the event TEDxCrenshaw organizer, Zaneta Smith, expressed her appreciation for everyone as she mentioned that the event was “meant to spark change.” Everyone felt the result of that spark and looked more inspired than they did upon arriving. As everyone waved goodbye, the organizers volunteers vowed to do everything in their power to bring back this marvelous event to the Crenshaw community. Enjoy more photos of the day below. 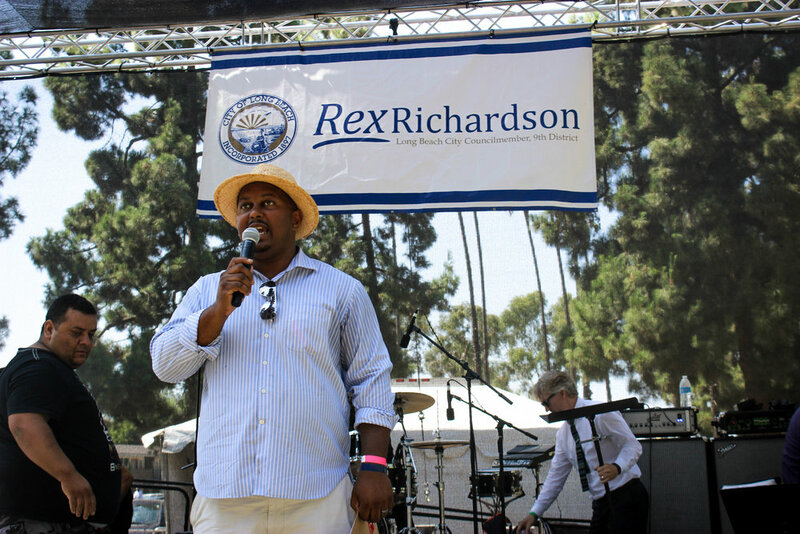 On August 23, 2015, North Long Beach hosted its 4th Annual Uptown Latin Jazz & Blues Festival, made possible by Long Beach City Councilmember Rex Richardson. 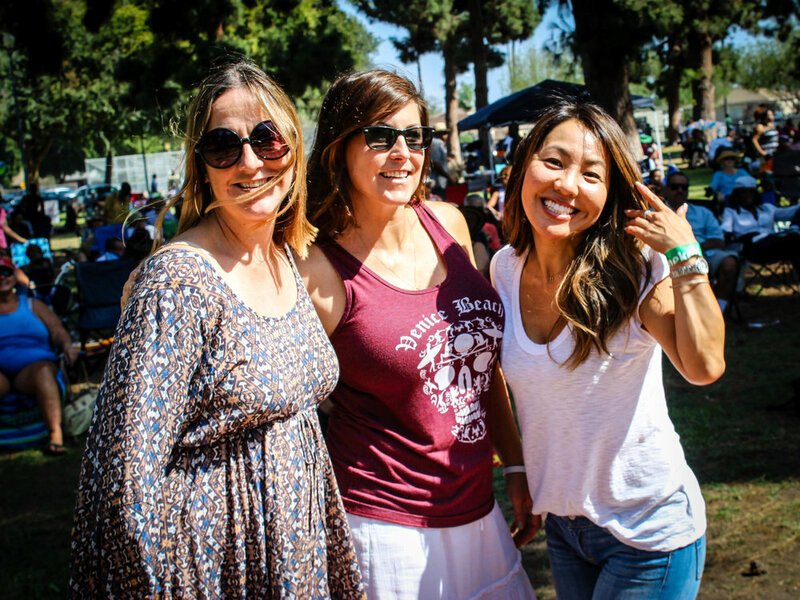 The atmosphere was lively and fun, as attendees bonded over a love of music and enjoyed live entertainment. The Uptown Latin Jazz & Blues Fest brought the entire community out in full force. Throughout the day, people showed up in droves to support local vendors and artists who had much to say about the significance of the event. 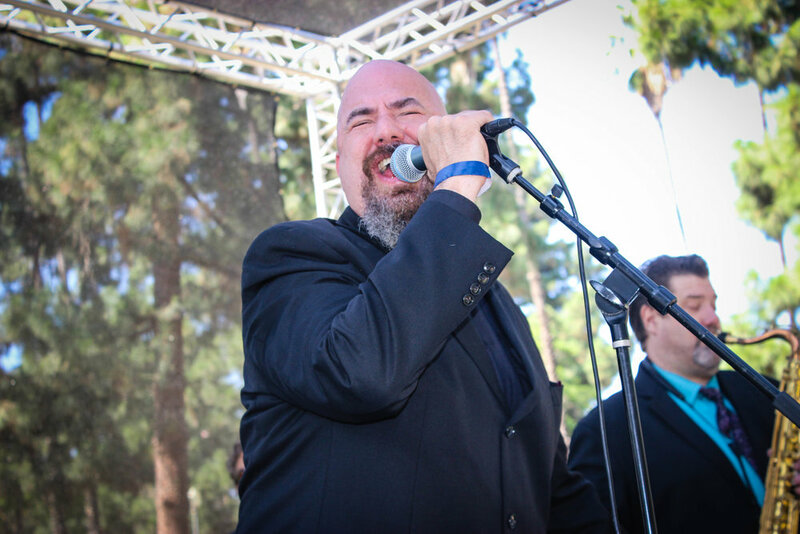 The next thrilling performance came from Box Car 7, a seven-piece show band from Southern California. Scott Griffith, the lead singer, delivered an engaging set of riveting jams that brought the crowd to their feet. The dynamic group came together 5 years after noticing that there was a void in the Long Beach music scene. Wanting to provide “that big wall of sound” to the people, Box Car 7 has performed at the Uptown Jazz Fest for the last 4 years since its inaugural year. In appreciation for their continued involvement, Rex Richardson awarded them with the Long Beach City Commemoration. Soon after, the following act forced everyone to hit the dance floor: DW3. DW3, an R&B, funk and contemporary urban jazz powerhouse, came to give everyone in Houghton park a show. They delivered flawless mash-ups ranging from Frankie Beverly & Maze to Jidenna’s Classic Man and left the audience begging for more. Also a veteran Jazz Fest performer, DW3’s Eric Mondragon was grateful to Rex for putting this on and is looking forward to playing next year. For their contributions, they also received a certificate of recognition from Long Beach City and Rex Richardson! The host for the day, Nautica De la Cruz, a radio personality from KJLH (102.3), came out to North Long Beach to show some love. She said that she loves the way that communities are being rebuilt throughout Long Beach and appreciates how events like the Uptown Jazz Fest uplift the spirits of the people. She mentioned that this year’s event was a huge success and predicted that the fifth annual is going to be even bigger. Tito Puente Jr., the headliner of the event who flew all the way from Miami, is the son of legendary Mambo musician, Tito Puente. He carried on his father's legacy by presenting much of his father's repertoire through his performances and recordings. Tito Puente Jr. lured everyone to the dance floor to perform their best mambo. The 4th Annual Uptown Latin Jazz & Blues Festival was a huge success. After a full day of dancing, music, and fun, Rex Richardson waved everyone goodbye and vowed to do everything in his power to bring back this marvelous event to the city of Long Beach. Check out a FULL Storify of the whole day here of the day’s best tweets.